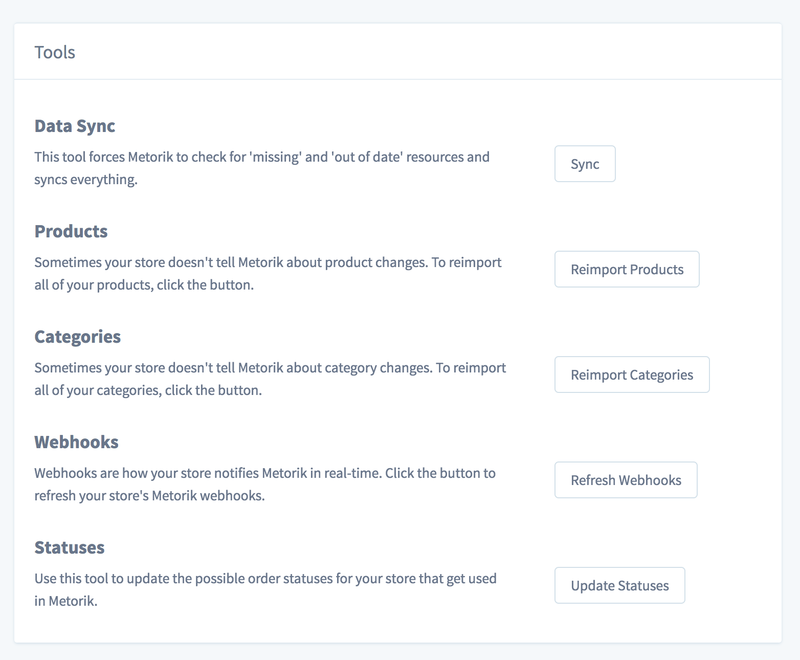 As an admin, you can do everything with a store on Metorik except for deleting it (unless you're the company owner). 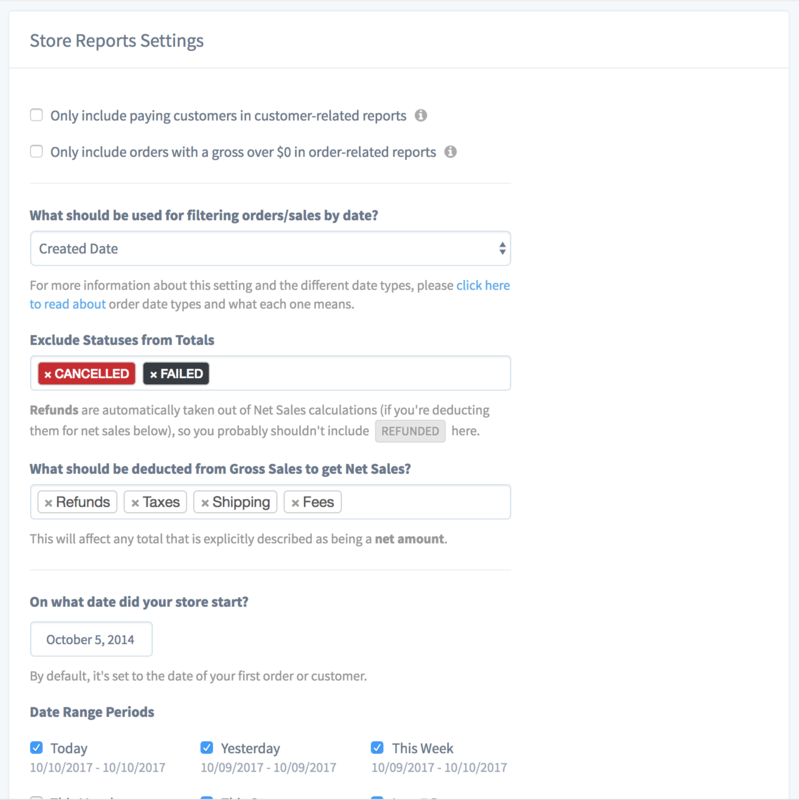 That includes editing the store settings, accessing all the reports, exporting data, updating orders, creating digests, creating product groups, and more. For an overview of everything you can do in the dashboard, you may want to reference the Editor guide. 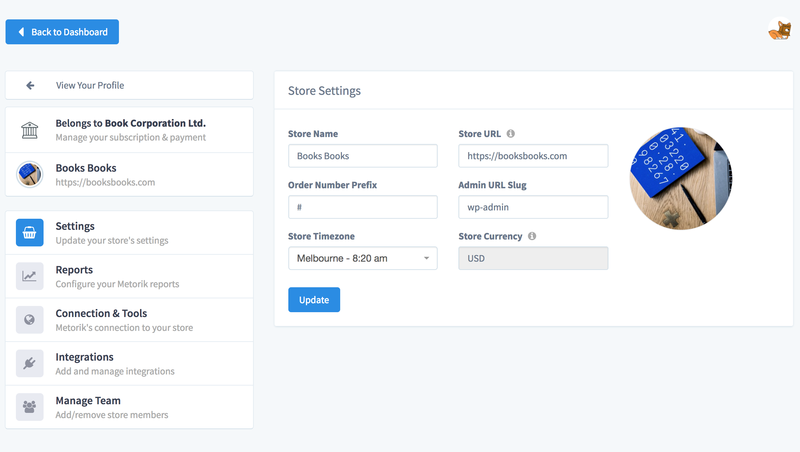 To access the store settings, you can click the 'store settings' link in the navigation or from your personal settings page. Under the connection & tools area, you can verify that the store is connected and re-connect it if not. You'll also find several tools that may be helpful. Most of the time, you'll never need to use these, but they're there if you! 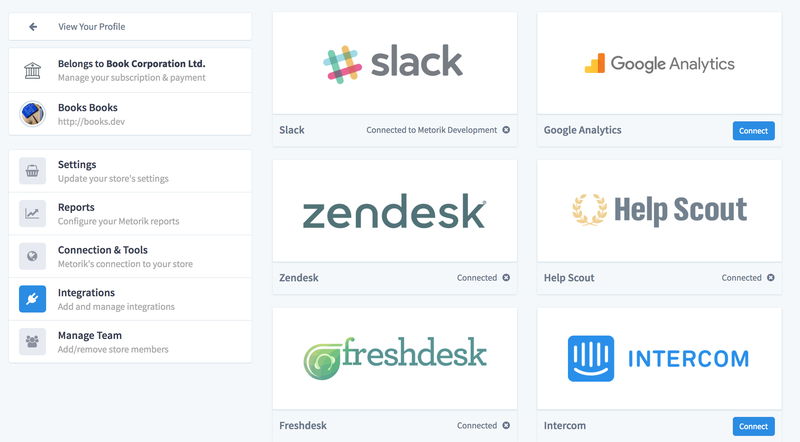 On the integrations page, you can manage the store's connected integrations and add more. Finally, on the manage team page, you can manage the team and invite new team members. 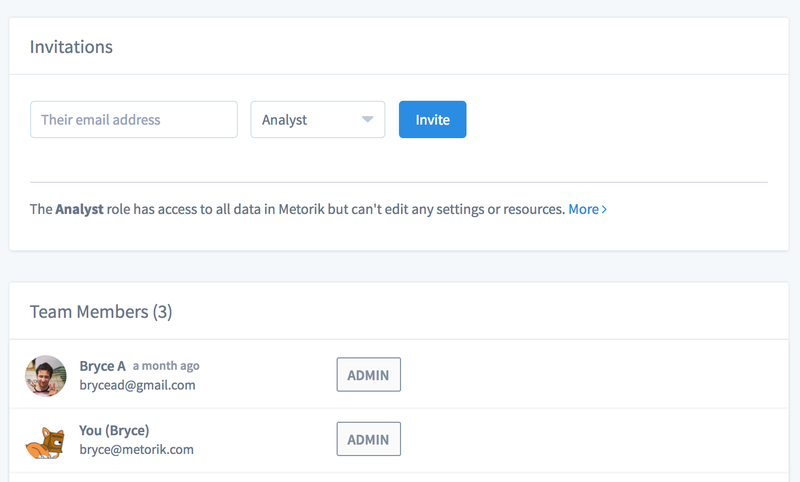 You can also see the last time that each team member used Metorik.